It looks like an early version of a McDonalds french fry robot. I know I’ve seen one but I couldn’t easily find a video. 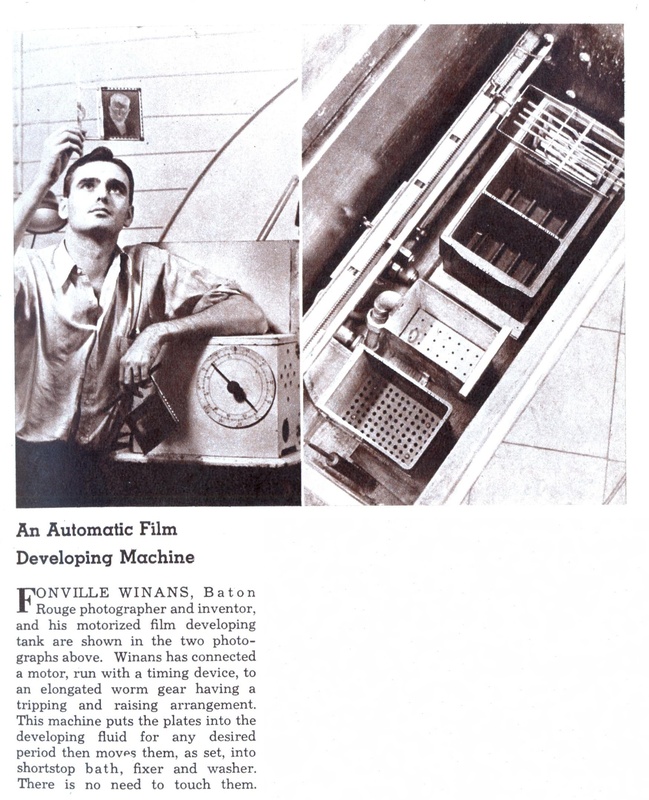 FONVILLE WINANS, Baton Rouge photographer and inventor, and his motorized film developing tank are shown in the two photographs above. Winans has connected a motor, run with a timing device, to an elongated worm gear having a tripping and raising arrangement. This machine puts the plates into the developing fluid for any desired period then moves them, as set, into shortstop bath, fixer and washer. There is no need to touch them.